Caterham pupils are celebrating another terrific crop of GCSE results. For the more challenging reformed GCSEs over a third of all results were the top grade 9 and over 80 per cent of all GCSE results were graded A*-A or equivalent grade on the new numeric scale. 50 pupils each achieved eight or more grade 9s or A*s in their results today – a phenomenal number and a new record for Caterham School. 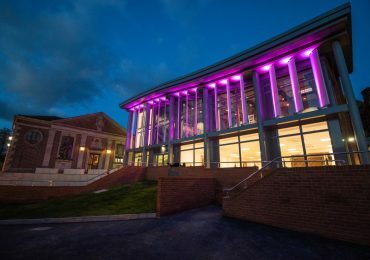 Mr Ceri Jones, Headmaster, said: “This year’s results include the grades for the newly reformed GCSEs, which have been designed to toughen up syllabuses and cut down on the number of pupils getting the top grades. I am delighted that our pupils and teachers have risen to the challenge, confounded expectations and achieved stellar grades. Mr Jones continued: “There has been a good deal of uncertainty surrounding the recent reforms to GCSE which have meant it is harder than ever to achieve top grades. Once again, our pupils have performed brilliantly. Not only this, alongside their academic achievements they have completed a dazzling array of extra-curricular activities. These results are certainly a worthy reward for the hours of hard work and dedication from this fantastic year group and their teachers. 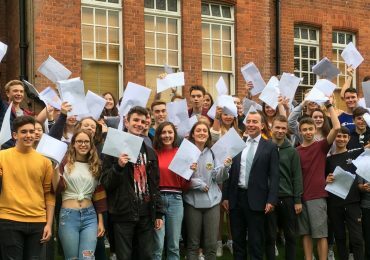 Caterham pupils sit a mixture of GCSEs with the new numerical grading and International GCSES which have retained the traditional letter grading of A* to E.